Three Ha vineyard in hills around Gattinara. The vineyard is named for the white, dusty top soils of clay mineral sand on a sub soil of igneous rock. Vineyards planted in 1940 and 1950 with old clones of Nebbiolo from the area. 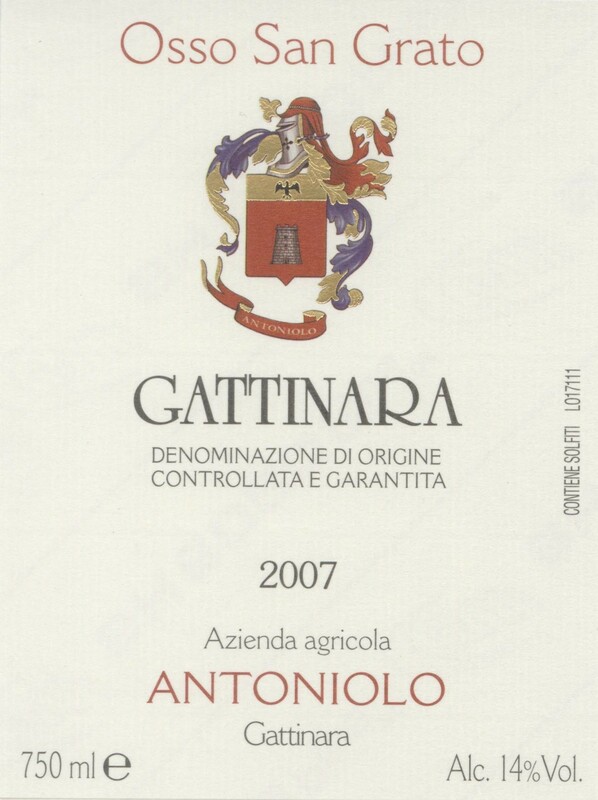 The DOCG allows for 10% Bonarda and Vespolina, but all the Antoniolo wines are 100% Nebbiolo. Fermented on the skins for 20 days, aged 36 month in 35 Hl old cask. Production: 4,100 bottles.